An architectural landmark anchoring Los Angeles’ elite design district, Pacific Design Center (PDC) is the West Coast destination for global design. The 750,000 square-foot “Blue Whale,” realized by architect Caesar Peli, FAIA, revolutionized L.A.’s design industry in 1975, creating a premier, all-inclusive trade resource to procure high-end designer goods. Forty years hence, PDC continues to innovate. Transformed by Peli’s iconic “Green” and “Red” Building additions, the 1.6 million square-foot campus now connects top-tier design, art, media and entertainment brands within an award-winning commercial market center. Coveted for its ideal location, generous floor plans, exceptional amenities and responsive management, Pacific Design Center is the choice showroom location preferred by today’s leading manufacturers of best-in-class design. For more information about showroom leasing, call 310.289.6537 or email at smakransky@pacificdesigncenter.com. The Red Building, a world class building developed by Charles S. Cohen, has been designed to exceed the expectations of the most demanding clients. Dynamic and flowing architecture by internationally-acclaimed architect Cesar Pelli creates an open and light-filled interior and delivers a powerful and dramatic statement on the exterior. 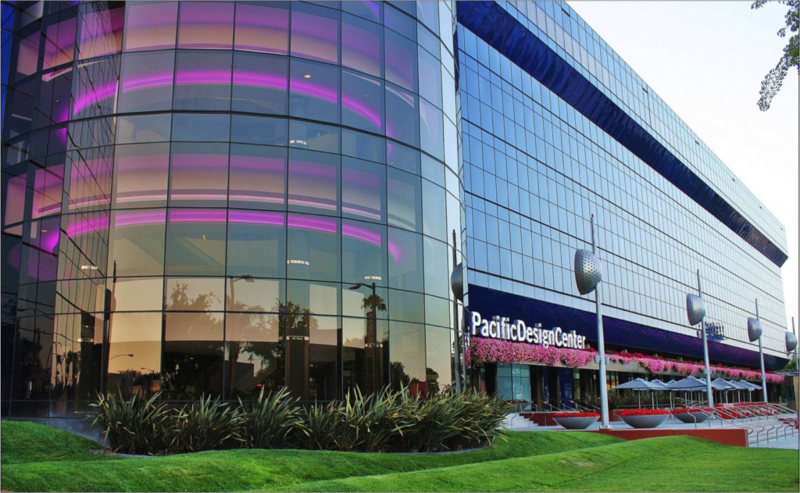 The building was designed to be an integral part of the Pacific Design Center: it completes the triad previously designed by Pelli with Gruen Associates. 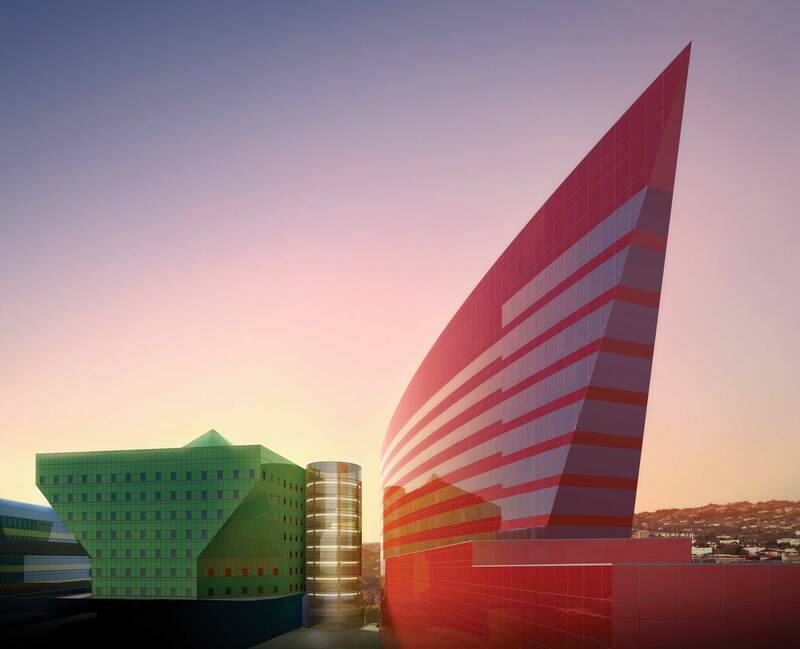 The Red Building offers 400,000 square feet of world class office space in two towers (East and West) atop seven levels of convenient parking. For more information about office leasing, contact Pacific Design Center at 310.657.0800.